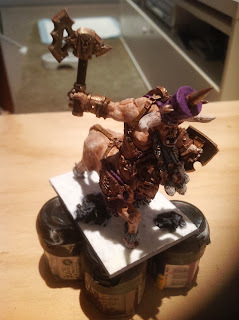 Bull centaur Taur'ruk conversion from one of the forge world bull centaur renders. 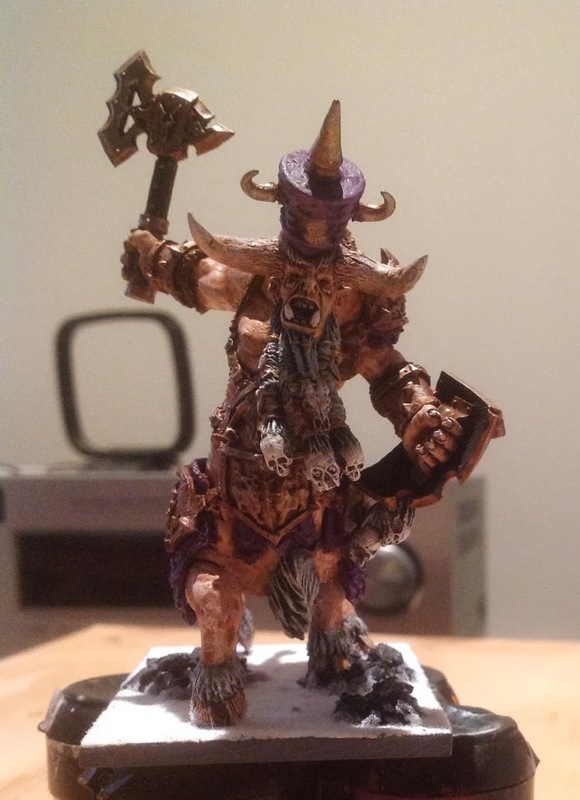 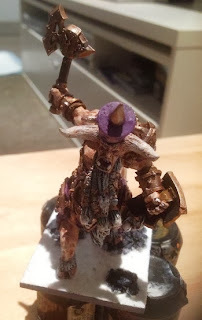 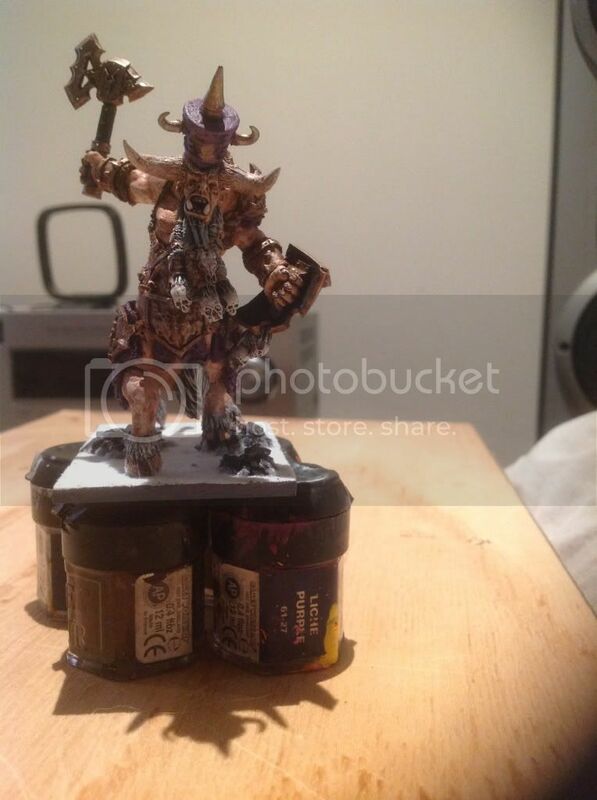 The big hat is simply a plastic chaos dwarf warrior hat with some horns from the 5th edition skeleton warriors box set. Really happy with how he turned out but I have yet to decide what war gear I will equip him with.